Have you ever thought about getting a 2nd opinion? 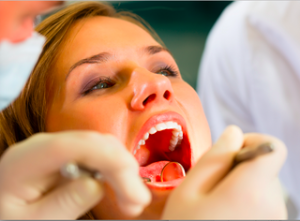 2nd opinion can help you make sure that you make the right decision about your dental care. There are so many different options in Dental Care now days and every procedure is no longer cookie cutter. It’s a great way to check out our office and staff for free! Healthy Body Dental offers the service for a second opinion here in Clearwater FL. Call and book your appointment for a second opinion today. Did we mention that it’s free!!! At Healthy Body Dental, we are always willing to provide a FREE consultation on a 2nd opinion. Many times, patients would like to discuss whether or not a certain type of treatment or procedure is right for them. We realize that choosing a dentist and deciding on dental care can be a stressful process. We are always happy to speak with you and answer all of your questions about the services we offer. Just call to set up a time for your 2nd Opinion consultation. This is also a great way for you to check out our office and staff to see if it would be a good fit for you. To tell the truth I was a little apprehensive about going to a “new “dentist, but from the time I walked thru the door I was impressed! The friendliness & efficiently of everyone was refreshing. I have been to several dentists and have had extensive work done on my teeth, but this was the 1st time I have not felt any pain. Thank you I have recommended several friends and family and I expect them to have the same friendly and caring experience I have had. Sincerely Peggy W – 1st time I have not felt any pain!!! I came to Dr. Adams office for a second opinion. My first impression was that he listened to what I hoped could be accomplished. He explained what I could expect from him and his staff. I was hesitant at first but there was something sincere in Dr. Adams manner that helped me make my decision. I was very impressed with Dr. Adams and his staff. I am so pleased I decided to have Dr. Adams as my dentist. I visited you for a second opinion after finding your ad. “Don’t’ Break the Bank”. An extensive cosmetic procedure was necessary. I wanted an experienced dentist. From the first visit your staff made me feel comfortable and welcome. You are caring, gentle and a perfectionist who explains each procedure before you begin. You were concerned that I could tolerate every movement. Finding you was serendipity for me.